From 5,000 users in 1997 to a staggering 50,000 by 2007, the industry drove innovation in technology and expanded to even more geographical locations. This decade was memorable already from its start, with the introduction of the first snap coupling in 1997. This new type of connection made it easier for users to attach the sound processor to their implant, and resulted in a reduced need for regular maintenance. A further improved version was released in 1999 (together with a new abutment) that would come to fully replace the bayonet coupling that the previous Baha System had used. This coupling remains the standard coupling technology seen in today’s systems. The first sound processor to feature the new snap coupling was the Baha Cordelle II, also released in 1999. The new processor replaced the previous Cordelle by improving the body-worn unit. A year later, in 2000, the Baha Compact would be introduced to replace the Baha 360, and feature improved electronics and an optional directional microphone. The world’s first non-implantable Baha solution, the Baha Softband, was released on the market in 2002. The Softband allowed children to benefit from a Baha System before they were ready for an implant. To date, it is still the recommended solution for paediatric treatment (until a child is ready for an implant) and for demo/trial purposes. The year of 2005 is another year that marked a major trajectory shift in the bone conduction industry. It was the year that Cochlear Ltd acquired the Swedish company Entific Medical Systems, the company that had been developing and manufacturing the Baha System as a spin-off from Nobel Biocare (originally Bofors Nobelpharma, a company that was formed to industrialise Brånemark’s osseointegration discovery). A new Cochlear division was set up, Cochlear Bone Anchored Solutions AB, and this division took over the manufacturing and development of the bone conduction system under the Baha brand. That same year, Cochlear launched the Baha Divino Sound Processor. It was the first digital sound processor, a technology that helped to further improve hearing outcomes and allow users greater control. 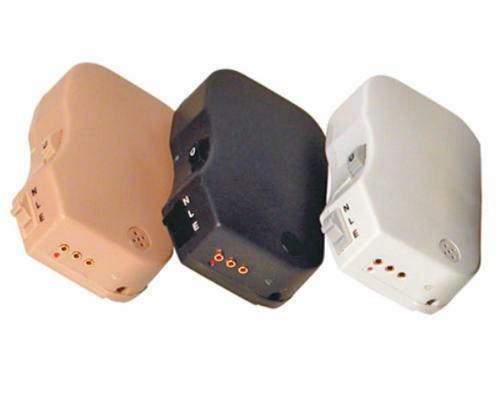 In 2007, Cochlear launched yet another sound processor, the Baha Intenso, which was the first head-worn power device. Like the Baha Divino it also featured digital signal processing, and was suitable for people with up to 55 dB SNHL. This new, complete portfolio gave more people more options; with three devices suitable for different levels of hearing loss – the head-worn Baha Divino (for up to 45 dB SNHL) and Baha Intenso (for up to 55 dB SNHL) and the body-worn Baha Cordelle II (for up to 65 dB SNHL). In the next article, read about the fourth and the last decade of bone conduction hearing. Thirty years ago, bone conduction technology was emerging as the treatment of choice for people suffering from conductive hearing loss. Thanks to the excellent results observed from the fitting of the first patients starting in 1977, the development of the bone conduction implant system continued to grow. The interest and awareness of the intervention spread across Europe throughout the 1980’s, with increasing numbers of clinical reports revealing positive outcomes in implant recipients. 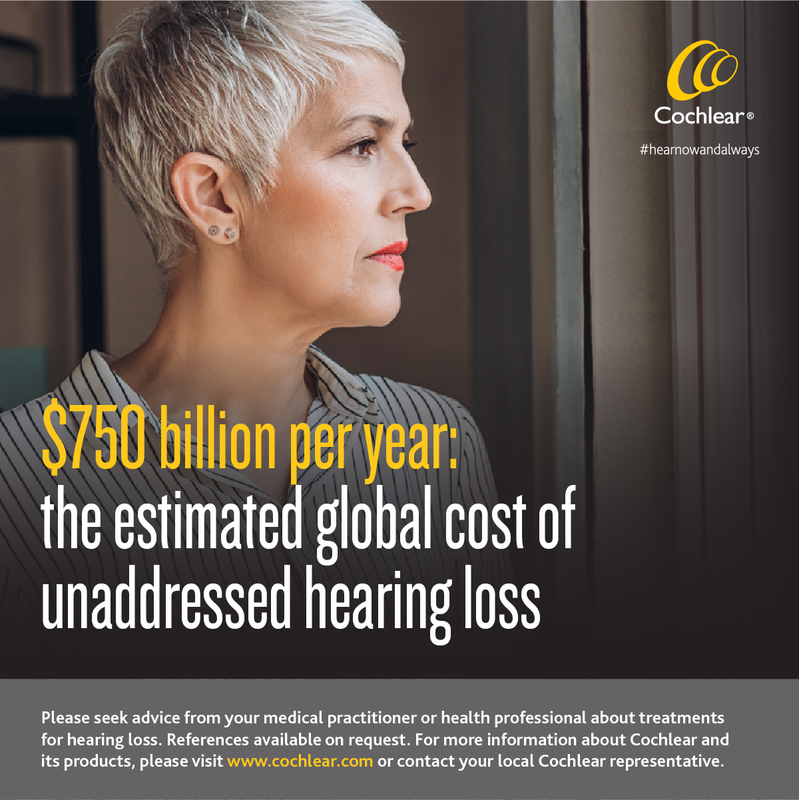 In the UK, the Netherlands and Sweden in particular, the treatment became more common and part of a choice of options available to people with hearing loss. The world’s first bone conduction sound processor, the HC-100, which became commercially available in 1985, was followed up by an improved version in 1988 – the HC-200. Within a few years another new processor was launched, the Classic 300, followed closely by the Baha 360 model. Both new processors took considerable steps toward increasing the ease of use of the system. A very important milestone was reached in 1996, when the FDA approved the use of the Baha System in the USA. The result of opening such a big, new market was simply amazing – by 1997, five thousand people were hearing better with the help the Baha System! The year of 1997 was also marked by another crucial event – the launch of the Baha Cordelle. It was the world’s first super power device, designed for people with more severe hearing loss, and was suitable for people with up to 65 dB SNHL. This meant that people who had struggled to hear, despite attempts with hearing aids, would now have access to power levels high enough to compensate for their hearing loss. The Baha Cordelle was also equipped with the first generation of snap coupling that improved the connection between sound processor and implant. On the 7th of June 1977, Gothenburg resident Mona Andersson became the world’s first recipient of a bone conduction implant. Aged 40 by the time of the surgery, mother of one Mona decided to put her trust in the hands of technology – one that was emerging at that time, thanks to the continuous efforts of Professor Brånemark and Dr Anders Tjellström, who understood the benefits of bone conduction and its applications in the treatment of hearing loss. Mona Andersson was born in Gothenburg in 1937, and already as a child she suffered from chronic infections in both years due to complications of scarlet fever. Her natural capacity to hear had dropped dramatically and it was not long before she had serious problems with her hearing. At the age of 15, Mona received her first hearing aid, which slightly improved her hearing, at the cost of constant headaches. The quality of sound was poor, and due to her chronic infections, she was not able to wear the hearing aids for longer than three hours, otherwise her ears would start to drain. For the first time in life, she felt isolated. “I was always joyful and social. However, when I started using hearing aids, I started feeling embarrassed. I remember that some of my early hearing aids were very difficult to wear. Even today, when I think about those days, I can easily sob”, recalls Mona in a 2017 interview with Cochlear. When she started working at a plastic factory, she realised that exposure to warm temperatures affected her hearing even more. She reached a turning point in 1965 when she became a mother. “I struggled to communicate with my daughter in the first years of her life. My husband and my mother were incredibly supportive! But my biggest wish was to hear my daughter’s voice”, Mona says. As a regular patient at the Department of Otolaryngology at the Sahlgrenska University Hospital, Mona had a close relationship to Dr Anders Tjellström. “I had nothing to lose when I accepted Dr. Tjellström’s proposal to receive a bone conduction implant”, says Mona. In 1977, Mona underwent the world’s first bone conduction implant surgery, performed by Dr Tjellström at Sahlgrenska University Hospital. The custom-made implant was placed in the right temporal bone, and three months after implantation a hearing aid coupling was connected to the fixture. 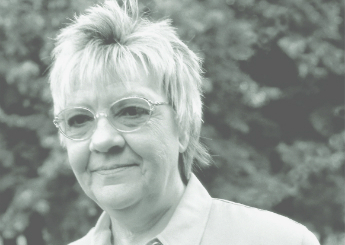 Dr Tjellström recalled in an interview that Mona had realised the benefits of her implant immediately. For the first time since childhood, she could hear birds and many other sounds she had never experienced, like the sound of a fly on a window, or ice cubes clinking in a glass. In 1982, a unique collaboration between Anders Tjellström, Bo Håkansson and Peder Carlsson, Professors at Chalmers Institute, resulted in the development of the first bone conduction prototype – the HC-100, designed for patients suffering from conductive hearing loss, like Mona. The HC-100 became commercially available in 1985, and soon after, Tjellström and Håkansson arranged the first bone conduction workshop in Gothenburg to present the first scientific paper on the innovation. By 1987, the research and work on improving the performance of the device had intensified, and only one year was left until the release of a new product. In the next article, read about the second decade of bone conduction hearing, and how the development boomed over just a few years. 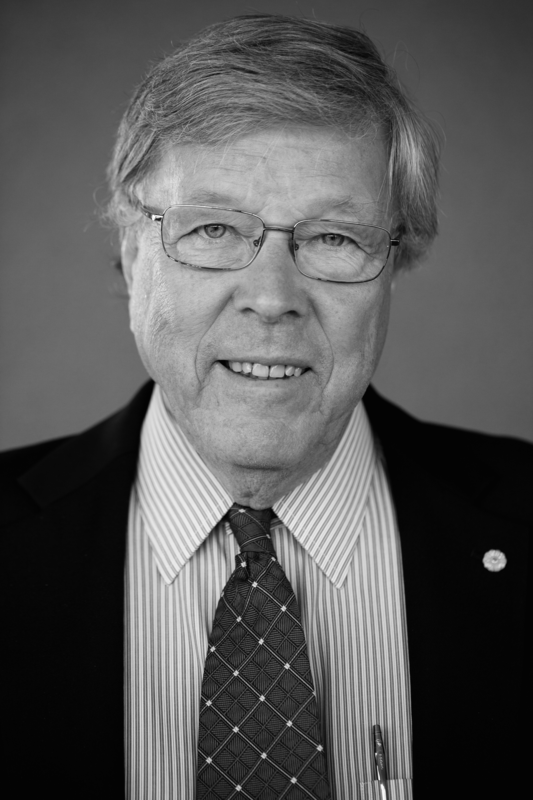 Per-Ingvar Brånemark is known today as the father of the modern dental implant. He was a physician and professor from Sweden, who studied rheology at the University of Lund, before he became a Professor of Anatomy at the University of Gothenburg. Brånemark’s scientific interest was bone, or more specifically, how blood flow affects bone healing. In 1952, while conducting a study on the anatomy of blood flow, he placed a titanium optic chamber in a rabbit’s tibia and fibula. As he tried to remove the titanium device, he realised in awe that the bone tissue had fused with the metal, a process he termed “osseointegration”. He soon recognised the potential of the newly discovered process, and moved on to research its properties and stability. As his methods were systematically proven, he started receiving recognition in the scientific world. The Swedish National Board of Health and Welfare finally approved his method in the 1970’s. In 1982, Brånemark’s case for osseointegration, presented at a conference in Toronto, won worldwide recognition, marking a turning point in his career. Ever since, millions of people have benefited from his discovery. In the next article, read about the first decade of bone conduction hearing. This year Cochlear is celebrating 40 years of bone conduction innovation, and how it changed the lives of hundreds of thousands of people around the world. Thanks to the accidental discovery of osseointegration and the brilliance of a researcher, a new technology was born; a technologt that would help people with disabling hearing loss reconnect to the world of sound. Over the next three months, we will tell you how it all started with a rabbit bone and a passionate physician in the 1960’s, to today’s amazing possibilities of accessing sound at the touch of a button. Because people are at the heart of everything we do, we’ll tell you about those who went against the grain in the name of science, those who trusted them, those who took the legacy further, and those who can, today more than ever, choose a life surrounded by the sounds they love to hear. Happy anniversary to you, and your hearing! Happy anniversary to us, and our commitment to always giving you the best of sounds! On May 31, The World Health Assembly (WHA) has supported a resolution that provides a hearing health policy action plan and recognises the benefits of prevention, intervention and treatment of hearing loss globally. The WHA is the governing body of the World Health Organization (WHO), and includes senior health leaders from 192 member nations. The resolution reinforces that hearing loss is a significant public health issue, requiring every government to make it a higher priority and develop a national action plan to address it. 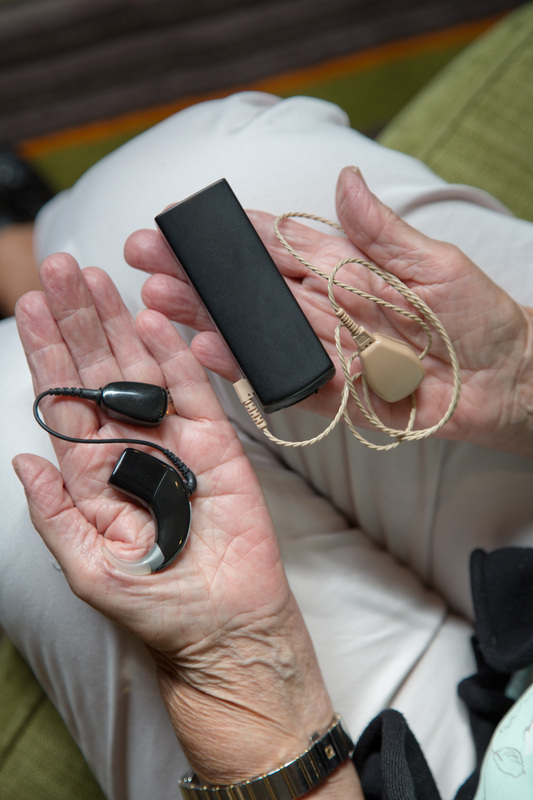 The WHA resolution outlines practical, cost effective steps, starting with awareness, hearing screening programs at key stages of life, and making assistive hearing technologies, such cochlear implants, more accessible to those who need them.